CAMERA prompts corrections to a National Geographic travel article which wrongly referred to "Palestine," which mischaracterized PFLP hijacker Leila Khaled as an "activist," and which significantly overstated the length of the West Bank barrier. CAMERA today prompts a National Geographic correction of a reference to the Palestinian territories as "Palestine." CAMERA prompts correction of a National Geographic article which identified the West Bank as "Palestine." 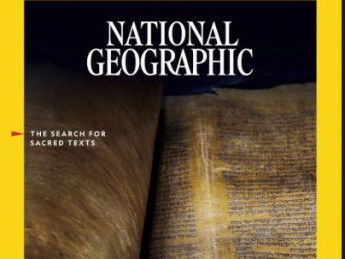 After hearing from CAMERA letter-writers about a problematic National Geographic article used as a vehicle to blame Israel, editors made significant revisions and improvements.